M8x70mm Expansion anchor bolt with flat washer and hex nut. Applications: be widely used in fence, burglarproof doors and windows, canopy, air conditioning rack fixation, home decoration, engineering, etc. The working principle of expansion screw: ?Put the expansion screw into the ground or the hole on the wall and then tighten the nuts of the expansion bolt with wrench. The bolt goes outside while the metal sheath does not move. Thus the bigger head of the bolt will expand the metal sheath, making it fill the whole hole. Now, the expansion screw can not be pulled out. Installation methods: ?Select a chopping bit with the same diameter as expansion screw casing, and install it on the electric drill for punching. The depth of the hole should be equal to the length of the bolt. Then insert the expansion bolt set into the hole. ?Remember: Do not screw off the nut and prevent the bolt from falling into the hole when the drill is too deep. 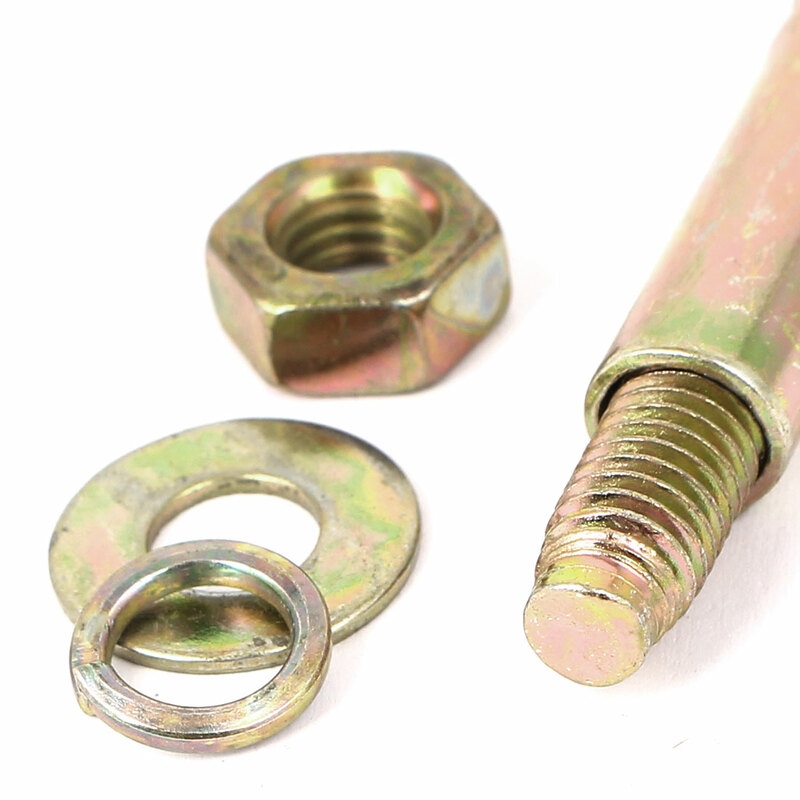 Tighten the nut for 2 to 3 buckles and unscrew ?the nut when expansion bolt si very tight without any looseness. Then the fixed items are mounted with perforated fixed part and installed aiming at bolt. The gasket?or spring washer outside is used to screw the nut tightly. Main Color: Bronze Tone; Thread Dia: M8/0.31"
Sleeve Tube Size: 10 x 50mm/0.4" x 2"(D*L); Hex Nut Width: 14mm/0.55"
Total Length: 70mm/2.8"; Flat Spacer Diameter: 18mm/0.71"